Two Free Samples Till Thursday! Protect your hair color for free @btheproduct.com. 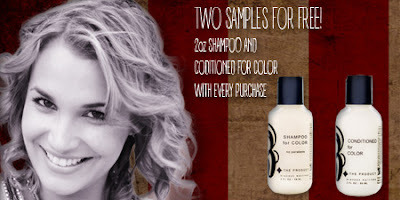 Receive a free 2oz Shampoo and Conditioned For Color with every purchase. No minimum required. This is a $17 value, yours free now @btheproduct.com. Your free 2oz Shampoo and Conditioned For Color will be offered at checkout.